Where have I been? Good question. I first and foremost want to apologize for not continuing with my bi-weekly This Thing Rules blogs. I’ve got 2 I’m working on and a 3rd I want to do after that but I’m just really behind schedule because of other stuff that had to push its way in front. Priorities is the name of the game, my friends. But the good news is I am still continuing the series. It just had to get postponed. I’m hoping that when it comes back, I’ll be able to just finish 2 or 3 back to back and pace them out so I don’t let it slip behind again. The other good news is that it’s not like I’ve just been sitting around playing video games or anything… Well I played a few video games, yea, but I mostly have been working. Lots of music. I made huge progress into completing my B-Sides & Remixes album (a new track from which can be heard on my Reverbnation profile), I worked on music for various jobs, films and other projects, AND some of the music I was working on for the reviews ended up turning into potential tracks for my next proper album. To be honest I think I have a solid 4 or 5 tracks going for it already. I’m not gonna rush it out or anything though. There’s still my new “If Only Tonight I Could Sleep” music video coming up and the B-Sides & Remixes album, so I’ve got plenty of new stuff to share in the coming months that there’s no reason to rush to album number 2. But just know that it is happening and it sounds amazing so far (well, at least I think so haha). Some of the projects I’ve been working on I should hopefully be able to share with you soon. Some really great stuff. I’m really proud of how it’s all coming out and how my music is growing. I’m going to have some announcements soon, some on things you already know about, some on new things, and I will hopefully have a new This Thing Rules very soon. In the meantime. Know that I’m over here, making music, and I’ll be back with lots of new stuff soon. The end of the year is always super busy for me but wow, this is has been cool. What am I up to? Well if you’ve been following my Facebook Page you know plenty about what I’ve been up to, so this is like a recap, with probably a few added bonus items you may have not heard about yet. First of all, I’ve been scoring Douglas Farra’s Vitamin Z web-series. It’s a great show and you can watch the whole thing on Youtube. Go check it out. I’m also working on the score for his short film “A Moral Discord” which will premiere at the Pollygrind Film Festival. We’ve also got some other stuff in store which I’ll be revealing soon. 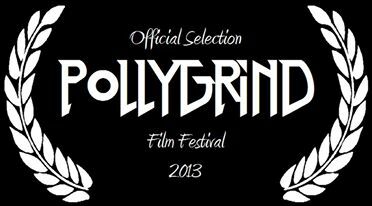 And speaking of Pollygrind… Both “Lights In The Sky” and its follow-up “Whirlwind” are Official Selections at this year’s Pollygrind Film Festival in October! The World Premiere of “Whirlwind” will be Sunday, October 13th at 6:00pm and the screening of “Lights In The Sky” will be Friday, October 25th at 6:00pm. 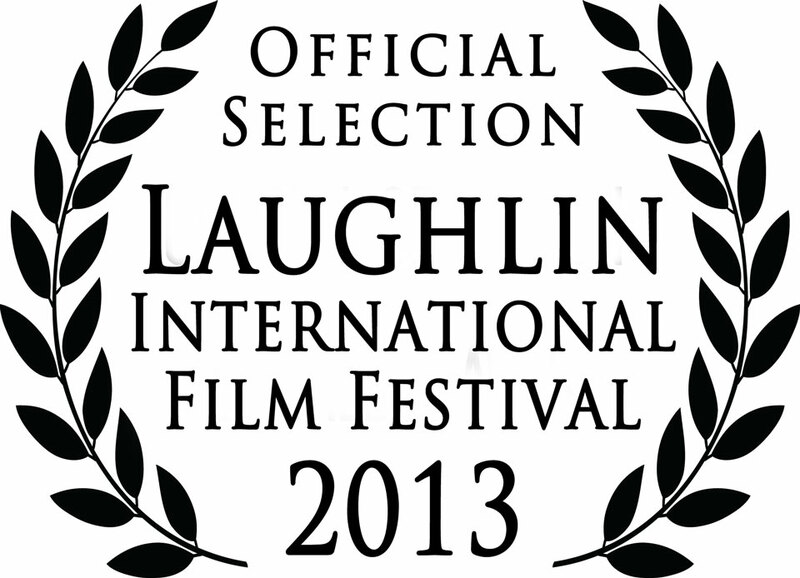 And that’s not all… “Lights In The Sky” is also an Official Selection at the Laughlin International Film Festival. I haven’t gotten a set date yet for the screening, but I’ll be sure to update everyone when I find out. Also this past weekend, The Shade Tree of Las Vegas had a viewing party for their new PSA featuring magician Lance Burton and music by yours truly. It’ll be up online for everyone to see in October and I’ll update this post with a link when it’s up. I’m honored to have gotten a chance to work on something that’s for such a great cause, and I got to meet Lance Burton, who was a really nice guy (there’s a picture on my Facebook page). Please make sure to check The Shade Tree out and if you can, donate. It’s a great cause. Wait… Also, if you haven’t already, make sure to check out the album “Echoes In The Dark” which is available now! Links to purchase can be found on the album page. OK that’s it… Thanks for listening. Today is March 9th. What makes this day special? Well it’s my anniversary with my wonderful girlfriend (and official photographer) Gina Mizzoni. Happy Anniversary bear-head! But for now, an update on my projects… What’s new with me? Well first of all, I have an album cover for my debut album! Not ready to reveal it (and the title) yet, but I’m REALLY happy with how it came out and I can’t wait to share it with you. SOON. I promise. As for the album itself, I think I’m pretty much there as far as the music is concerned. I have over 20 tracks started for it (probably closer to 30 to be honest) and I’m just deciding on what the best 15 are and I gotta then go back to all of them and edit, adjust, mess with, fix-up, tweak, play with, destroy, fix again, build up, and make sure I’m happy with them all. I’m going to start this weekend on trying to narrow down which ones to start doing all that fun stuff to. I think I have the track list pretty solid in my head. I’m also about to finish up the 3rd short film I’ve scored this year. It’s really awesome how busy I’ve been this year. I’m hoping these shorts will be up online soon so I can share them with you all. The first 2 came out amazing, and so far so good with this 3rd. I really feel like I keep progressing every year with my skills and abilities. Alright so my girlfriend is trying to push me to start posting blogs on here. I told her that I know and I plan on starting to post blogs in the near future, but that I’m just too busy with various projects right now (including 2 animated shorts, 2 games, and my instrumental album, as well as a couple other things… but that’s another story for later). Well she’s still going on about it so you know what, here’s a damn blog post! You can see her website at http://www.ginamizzoni.com by the way. She’s my official photographer, and you’ll hear a piece of my music on her homepage. She does great photography work AND is a wonderful writer. She’s also a great girlfriend. I hope she likes this blog post. On that note I think I’m gonna see Zero Dark Thirty today… Then back to work on these project I’m composing music for… Then probably a whole bunch of sleep. Yea… That sounds pretty awesome. Oh one more thing… Go Puppy Bowl!!! Welcome to my new website. It’s been a long time coming and I put a lot of work into this site. Now that I’m set up through WordPress, it’s going to be a lot easier to keep updated. I’ll be adding samples of my music, news about projects I’m working on, and all kinds of other information about what I’m doing. I’ll also blog once in a while to let you know what I’m into and what I’ve been up to. First up? Finishing my album and my new 2013 Demo Reel. I’ll be unveiling the album tracklist and artwork within the next month and then I’m aiming to have the 2013 Demo Reel up by March. The album should follow towards the end of March if all goes well. I really can’t wait to share my first full length album of completely original instrumental music with you all. In the meantime, look around the site, listen to the music, post a comment, and subscribe to the updates. There will be plenty more coming soon!